On Thursday the 6th of December, the Science Department were lucky enough to have Techniquest Glyndwr visit with their Cell Dome. 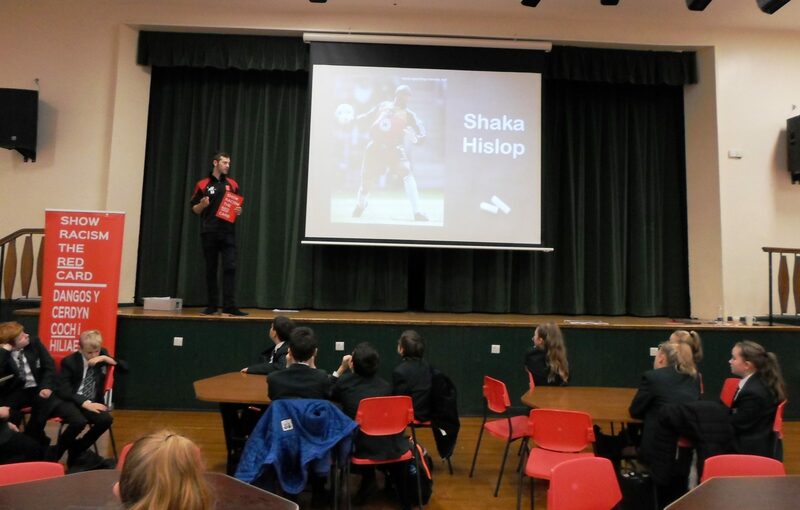 This offered our Year 10 pupils with a very unique and interactive learning experience. Year 10 had the opportunity to enter the dome and engaged really well with a virtual tour through a plant and animal cell, seeing different organelles in action as well as discussing some specialised cells. All of this will help Year 10 to prepare for their Biology GCSE exam in the summer. On Thursday 29th November the Science Department held a revision event for year 11 students. We invited 2018 school leavers who achieved exceptionally well in science to come and speak to our current year 11 about tips and methods they used that enabled them to be successful. It was a really positive atmosphere and our year 11’s left feeling motivated and focused, safe in the knowledge they too could achieve great things in science. Show Racism the Red Card is an anti-racism education charity, which has been working with young people and adults across Wales since 2006. On 29th November the newest member of the team, Eryl Jones, visited Darland High School to carry out workshops with our Year 7 students. Throughout the day students engaged in conversation about racism and focused on the topic of immigration. They learned to understand the injustice and the senselessness of racism and gained a full understanding of its damaging effect. They were also able to evaluate language and the power words can have. The workshops involved activities to challenge stereotypes and encourage discussion around some famous figures and their journey to the UK, such as Rita Ora and Mo Farah. 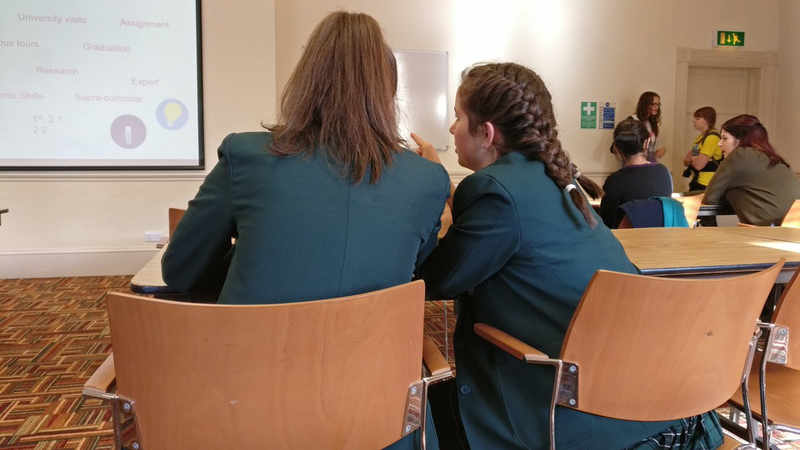 On 8th November 2018, 12 students identified by Darland teaching staff for having a particular interest/academic strength in the area of STEM (science, technology, engineering and mathematics) attended their Scholars Programme launch event. 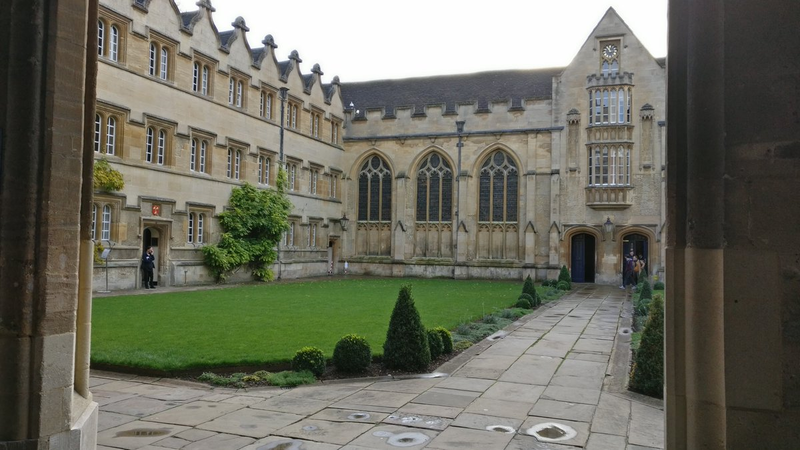 Despite an arduous journey which took almost five hours on a minibus, we arrived to the incredible University College campus with spirits remaining high. The day began with a tour of the campus. It’s fair to say that the group were astounded by the sheer beauty of the buildings and grounds – it’s quite obvious that the staff and students within the university are proud to be there and strive to maintain nothing but perfection. We met our student host for the day, Rosie, who was in her second year studying engineering. Rosie guided us around the campus, taking in the grounds, student accommodation, statues (yes, statues! ), the old library and the great hall. It was like being in the film set of Harry Potter. The group then came together to be welcomed by the programme leader, Dr Claire Harrill, who is herself a professor at the university. Dr Harrill explained the format of the course and told how The Scholars Programme is designed to widen participation to the UK’s most selective universities; to date the university-style programme has had positive impact on those who complete it. According to an independent impact evaluation carried out by UCAS (Universities and Colleges Admissions Service), the impact was significant. The day was busy but purposeful; after the programme introduction, students received information, advice and guidance for future courses and careers prospects, study skills (note taking and revision) and an introduction to their assignment ‘Cosmic Giants’ – a study into the formation and death of galaxies in our universe. Upon successful completion of their university-style research project, students will be invited to attend a graduation ceremony in February 2019 at the University of Liverpool; watch this space! The 2018 GCSE Certificates have now arrived at school and are now available for collection from the school office. Christmas cards available to purchase at £3.00 per pack of 25, designed by Darland pupils. Should you wish to purchase any Christmas cards, please click here and complete the slip at the bottom of the poster and send it in with your child to the school office. 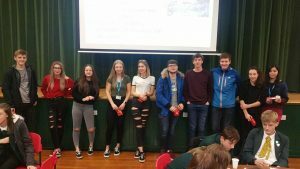 Attitude to Learning (ATL1) Award Winners – October 2018! Huge congratulations go to this fantastic group of students – their hard work and efforts in school are outstanding. In recognition of their excellence, they each received 2 x Odeon Cinema Tickets. Very well done to all these students. The final week before the half-term break saw our annual School Council elections. The voting process, subsequent counting and awarding of the prestigious School Council shield badges was organised by the Year 11 Prefect team headed up by the Head Girl, Sophie Layhe and Head Boy, Connor O’Toole. 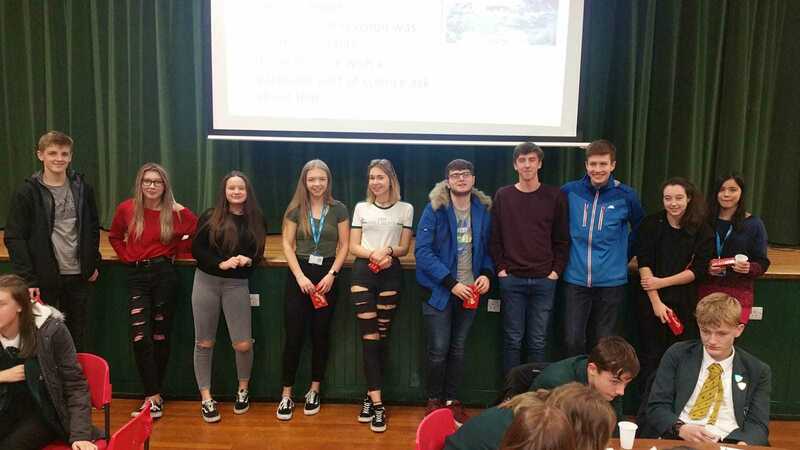 Congratulations to all elected students and a huge thanks to those students who voted, and of course to the Year 11 Prefects for their organisation and administration of the process. We have received notification from Arriva that the Chester Road will be closed from the Grosvenor Garden Centre to the A483 on Tuesday 11th September. Buses from Wrexham to Chester will operate as normal to the old ATS depot, turn left for Llay and then turn right on to the A483 dual carraigeway to the Post House roundabout and then normal route to Chester. Pupils will need to walk from the old ATS depot to school, please ensure you child leaves in plenty of time to arrive at school on time. At the end of the school day pupils will need to walk from the school to the ATS stop. We will dismiss Year 7 at 3.05pm, Year 8 at 3.10pm, Year 9 at 3.15pm and Year 10 and Year 11 at the normal time. 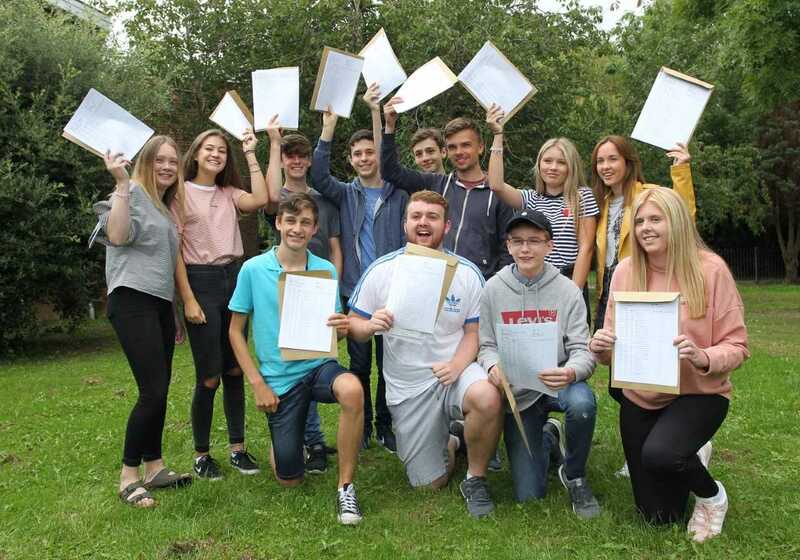 Year 11 pupils at Darland High School were today celebrating a terrific set of exam results. 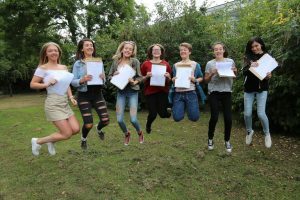 63% of the year group achieved the ‘gold standard’ of five good GCSE passes including English language and Mathematics. 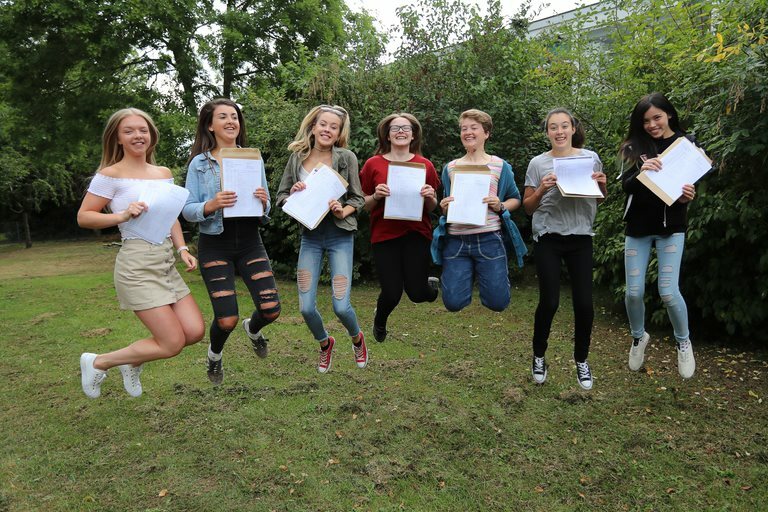 Particularly impressive was the increase in the number of students achieving the very top grades, with 20% of the cohort achieving at least 5 A or A* grades.